The design of the new Library considers the health and wellness of our students and other users. 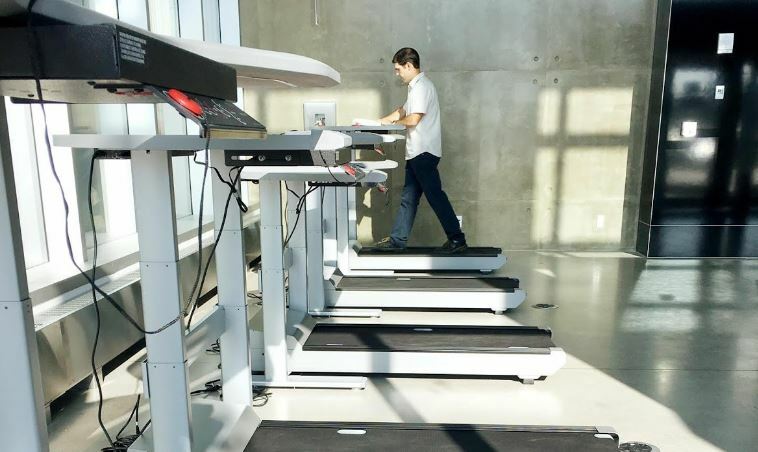 treadmill desks allowing students to walk and study at the same time! For MRU employees who like to bike or run to work there are also end-of-destination bike lockers and showers available in the Riddell Library and Learning Centre parkade. For details on how to rent space or purchase access to the shower facilities please contact Parking and Transportation.